A nice touch by the veteran players who presented new head coach Brad Ralph with the puck after Friday's 4-3 home ice win over the visiting Kamloops Blazers. Ralph won his first game as a head coach in the WHL and then promptly won his first WHL road game a night later in a 7-3 win in Kamloops. Adam Foote was all smiles Saturday night when I met him after the game outside of Sandman Centre in Kamloops. The NHLer witnessed his son, Cal, score his first career WHL goal. Can you blame him? It is nice to see parents being able to witness and share the milestone with their son. Cal told me afterwards it was nice sharing the moment with his team-mates. That statement alone tells me about the character of the Colorado resident and the hope that in the future, he can possibly wear the Rockets 'C' on his jersey like his father did with the Avalanche and Columbus Blue Jackets. Speaking of captain, who is the next captain of the Kelowna Rockets? No successor has been named following the departure of Madison Bowey. This is nothing new for the organization in not announcing a captain before the season starts. Bowey was named captain on November 1, which was a full month into the 2013 season. The last two captains (Bowey and Colten Sissons) each served two consecutive terms. Would that happen this season by naming an 18 year-old to the post? With 19 year-old Rourke Chartier such a strong candidate, I can't see them leaning that way. Tyson Baillie can move into an elite group of Rockets players to dress in over 300 games with the organization. If he remains healthy and plays in all 72 regular season games, Baillie will end his WHL career with 331 played. Jason Deleurme is the franchise leader with 341 games played followed by Tyler Mosienko with 338. "Kelowna is the best place to play junior so it would be cool to say I've played in that many games and have been healthy and contributed every season", Baillie said. Goaltender Michael Herringer has new pads and a new mask this season. The white mask has a small decal on the forehead that shows he is with the Kelowna Rockets, but no paint job will be allowed on the mask. Owner Bruce Hamilton is a traditionalist and doesn't believe a painted mask is necessary for his goalies. Hamilton also forbids his players from wearing excessively high numbers, like #41 or #78 as an example. Does it sound picky? You can't argue with the results the team has had under Hamilton. The older I get, the more old school values I appreciate. It is nice to see Hamilton remains steadfast in his core beliefs when everyone else is showing little to no backbone. Opening night is pretty special at Prospera Place. Opening night while raising a division, conference and league banner is even sweeter. The Rockets organization do opening night right! If you don't believe me, attend an opening night in another building and make a comparison. Playing six of your first seven games on the road isn't easy for the defending WHL champions, but the public relations department had to be doing cartwheels when the schedule came out in July. Attendance numbers have been sluggish across the league in the first week of September and it appears not everyone is excited to head to a WHL arena just yet. The Rockets don't have to worry about that to a great degree until they play their second home game on October 9th vs. Victoria. Second year defenceman Lucas Johansen told me before the season started that he was hoping to see more time on the power play. The 17 year-old got his wish. Johansen scored his first goal of the season, on the power play, in a 5-2 loss Sunday in Vancouver. I asked Johansen what he wants to improve on heading into his draft year. "Gee....everything", Johansen laughed when looking at the big season that lies ahead for him personally. Johansen and teammate Dillon Dube are considered 'B' prospects for next June's draft according to NHL Central Scouting. The Rockets are in Red Deer Saturday for game two of their Alberta road trip. While the team doesn't mind visiting the Rebels in October, they would prefer to visit them in May when Red Deer plays host to the 2016 Memorial Cup. I am here to state and applaud the Vancouver Giants for having the best media room in the entire WHL. Hey, Spokane, are you listening? The variety of food items is excellent. Shaw TV colour analyst Bill Wilms led me to the secret of the delicious food items on the table. 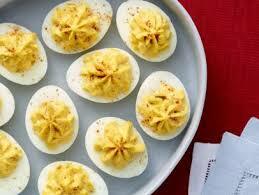 The deviled eggs are SPECTACULAR. High 5's also go out to the Victoria Royals, Tri City Americans, Prince George Cougars and Kamloops Blazers for making an effort. All I am looking for is an effort to have some sustenance for the media/scouts to munch on before game time. Seattle and Spokane are the weak sisters out West. Does my harsh critique bother them? Not one bit! Tired. No jump. Little push back. Those words would best describe the Kelowna Rockets effort Sunday night in a 5-2 listless loss to the Vancouver Giants. It seemed like the 20 man roster were all feeling fatigue. No one player stood out in a game that saw the Giants score two ugly goals in building up a 5-0 lead. One goal went off defenceman Devante Stephens arm and over the head of goaltender Michael Herringer and into the back of the net and another saw designated tough guy Taylor Crunk score from an almost impossible angle along the end red line to open the scoring. It was an ugly game to be frank. Despite an inspired effort in the third period, the G-Men snapped a 13 game losing streak against the Rockets that dates back two seasons. Michael Herringer started in goal with Jackson Whistle hurt after receiving a stick in the neck Saturday in a 7-3 win over the Blazers. It was not Herringer's finest hour. Looking steady and as solid as a rock in brief appearances in last year playoffs, the 19 year-old was fighting the puck and never did make a big save for his team. But in defending Herringer, he wasn't alone in the number of veterans that just didn't have it Sunday night. The defending champions played a perimeter game and just weren't hungry enough to find pucks and get them back. The power play is an earlier concern to the season. It had six chances last night to score and only found the back of the net once on a Lucas Johansen shot from the blue line. Awarded four consecutive power plays in the third period to rally, the power play didn't create many good looks. Simply put, it wasn't very dangerous when it should be with the personnel on it. The only two power play goals this season have come from defenceman. Head Coach Brad Ralph pulled Michael Herringer with just under four minutes to play in the third period when the score was 5-2. It was designed to get back in the game with a couple of quick goals. While the Rockets dominated territorial play, the number of shots that got through to Giants starter Payton Lee was minimal. In some cases shots were blocked, but in other instances, the Rockets were hesitant to shoot and hunt down rebounds. Despite the negative results, it was the team's third game in three nights. While this isn't unusual for the WHL, it is something new for the Kelowna Rockets, who in my 15+ years behind the mic have never started the season playing three consecutive games. No matter how you see it, playing three in three to start a season is a tall task when two of those three are on the road. Tyson Baillie is off to another terrific start to the season. The 19 year-old is tied for the league lead in points with seven. Had the Rockets won Sunday night and Baillie had scored, the Fort Saskatchewan, Alberta resident would have likely been named the WHL POW. Instead the honour rightfully went to Victoria's Alex Forsberg. Tomas Soustal now has four goals in three games to start the season. Who does he think he is....Leon Draisaitl? I don't anticipate the 18 year-old continuing at this pace, but if he can chip in with a 20+ goal season, it would make up significantly for the loss of scoring punch from Madison Bowey on the defensive core. Outside of the loss itself, the most disappointing aspect of last night's game in Vancouver was the crowd. While it was announced that over four thousand were in the building, it was extremely small for a Sunday night. Yes, it is late September. Yes, it was a beautiful day in Vancouver, but it was one if not the smallest crowds - visually - I have ever seen at Pacific Coliseum. Owner Ron Toigo has to be concerned. We will have to see if the WHL hands out a suspension to Rockets forward Dillon Dube for his five minute kneeing major penalty in the second period. Dube was ejected from the game while Giants d-man Brennan Menell had to be helped off the ice. The good news is the Giants believe Menell could play this weekend. It would be tough to lose Dube for the first game of the Alberta road trip. Tyson Baillie has been a pain in the neck for the Kamloops Blazers over his five year career in the Western Hockey League. The 19 year-old (doesn't turn 20 until November) just scores goals against BC Division foes. Goaltender Jackson Whistle was dealing with a pain in the neck too after helping his team to a 7-3 win in Kamloops Saturday night. While Baillie scored twice in the Rockets first road win of the season, Whistle was sent to hospital in the third period after getting what appeared to be a stick in the neck. Whistle had problems breathing as he left the ice during the goal mouth scramble, but by games end, the 20 year-old remained over night in Kamloops before heading home to Kelowna today while his teammates travelled to Vancouver for a date against the Giants this evening. Outside of the win, it was a rough night for the Rockets, who lost their number one goaltender for an undetermined amount of time and then had a flat tire between Hope and Chilliwack in the early morning hours. It delayed the teams arrival into Vancouver by close to two hours. Back to the game. The Rockets surrendered 44 shots on goal, but many were from the outside. I thought the team played a cleaner game in its own zone. The breakout passes were better and the forwards were willing to do more to help out the young d-core. I didn't think the Blazers forecheck was as relentless as it was a night earlier, so the combination of a series of factors had the Rockets playing a cleaner game defensively. Is there still room for improvement in that area? Without question. It was a good night for 16 year-old Cal Foote. Pictured to the right, the young d-man scored his first career WHL goal after Blazers goaltender Connor Ingram attempted to fire the puck up the middle of the ice on a Rockets power play. The puck instead was knocked down by Foote, who fired it past the glove hand side of Ingram to make the score 2-0. Foote's father Adam was in attendance to see his son's first WHL goal. It was indeed a proud moment. Tyson Baillie is off to a tremendous start. With two goals and an assist in back-to-back games, Baillie is off to a sizzling pace. This isn't unusual for Baillie, who had a six game goal scoring streak to start the 2014-2015 season. Tomas Soustal has really been a nice story two games into the season. The 18 year-old really evolved into a power forward late last season and made an impact at the 2015 Memorial Cup. Soustal has three goals in two games. It took him 11 games to score three goals in his rookie season. I like when players show emotion. Defenceman Devante Stephens played with it last night when he found himself in a scrap with Blazers 20 yeaar-old Ryan Rehill. Common sense would tell you to stay away from Rehill, who is a proven fighter, but when you are agitated to a certain point, emotions take over and you fight back regardless of the predicted outcome. Stephens took more than a few punches but didn't cower. On character alone, I think it showed what 'Devo' is all about. Biggest surprise of the night? Blazers head coach Don Hay elected to pull starting goaltender Connor Ingram after the Rockets third goal. But then again, did Ingram make a massive save to give his team a chance to win? Probably not. In relief, Dylan Ferguson allowed four goals but made two solid stops which could have easily been goals. I think the Blazers are a much improved team from last season. I saw some good things from Don Hay's crew over the weekend. Clearly, the teams younger players are carrying the mail two games into the season. But where are the veterans? Collin Shirley was extremely quiet on the weekend and Luke Harrison was just average for a 20 year-old player. I sure like newcomer Garrett Pilon and Nolan Kneen. If the veterans can follow the rookies passion, mark my words, the Blazers are going to win their far share of games this season. It won't be easy winning hockey games for the defending WHL champions this season. Don't expect many blow outs. The Kelowna Rockets learned that first hand last night with a hard fought 4-3 home ice win over the Kamloops Blazers. Tyson Baillie scored twice and added an assist as the Rockets scored three times in the second period to take a 4-2 lead. The Blazers showed no quit in this one though. A determined bunch, Don Hay's team wouldn't quit and had several good looks in the dying stages of the game with starting goaltender Connor Ingram pulled for the extra attacker. That's where Jackson Whistle's experience came in handy as the 20 year-old slammed the door shut. The game winning goal came with some controversy. Justin Kirkland scored on a second period breakaway when the play appeared to be offside. Defenceman Devante Stephens fired a long pass to Kirkland, who skated in all alone and beat Ingram with a nice backhand move through Ingram's legs. I immediately looked at the Blazers bench for a reaction, but they didn't look overly animated that the play was offside. The Rockets scored the opening goal just :53 seconds into the game. You could see the home team was charged up after the opening ceremony which saw the team raise three banners high to the rafters at Prospera Place. With that early strike, I was wondering if some players thought that goals would come easy, and often times, you could clearly see many forwards cheating in their own zone in an effort to go to the offensive side of the game. The Blazers played a smart road game. The forwards would often dump the puck into the offensive zone and force the Rockets young d-core to make plays. It resulted in either a turnover or the Blazers simply winning board battles and created good chances on net. Rookie Spencer Bast's goal would be the best example as he willed his way towards the net and chipped it past a startled Whistle. The best Blazer for my money was Nolan Kneen. The 16 year-old was physical and was involved in a fight with Riley Stadel in the third period. The first round bantam pick from two years ago plays with an edge and made an immediate impact. Rockets rookie forward Calvin Thurkauf was hit hard in the second period in the neutral zone, but after a few minutes on the ice, made his way to the bench without any problem. After one quick shift a short time later, the 18 year-old didn't see the ice for the remainder of the game. I would suspect the Swiss forward is doubtful for the rematch tonight in Kamloops. Gage Quinney was the odd man out as the team could only dress three 20 year-old's. The same can be said for Ryan Rehill, who also didn't play for the Blazers because of the three overage rule. Nick Merkley did not play last night because of injury. That seemed to have an adverse affect on veteran forward Rourke Chartier who played a very quiet game. Bring on the regular season!!! Tonight’s Preview: The Rockets organization opens their 25th season in the Western Hockey League tonight when they welcome the visiting Kamloops Blazers. Before tonight’s game, the team will raise a Western Hockey League championship banner to the rafters at Prospera Place after eliminating the Brandon Wheat Kings in four games in last season’s league final. This is the fourth straight season the Rockets have opened at home against the Blazers. Back on September 20, 2014 the Rockets earned a 6-1 win before a crowd of 5 thousand 325. Tyson Baillie and Kris Schmidli each had a goal and two assists in the win. This is the first of eight meetings between these two teams this season. They renew acquaintances tomorrow night at the newly named Sandman Centre. Last season the Rockets were 9-1-0-0 against their BC Division rivals, who along with the Vancouver Giants, failed to make the playoffs in 2014-2015. The Rockets have a busy weekend ahead of them with three games in three nights. 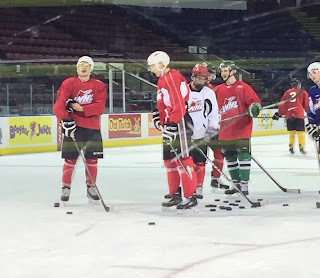 The Rockets are in Kamloops tomorrow before facing the Giants in Vancouver Sunday. The defending WHL champions play eight of their first 11 games on the road. 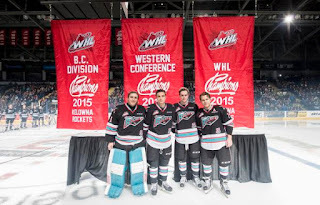 Banner Raiser: The Kelowna Rockets raise two new banners before tonight’s game after winning the BC Division with 112 points and capturing the WHL title with a series sweep over the regular season champion Brandon Wheat Kings. It is the Rockets fourth WHL championship banner after winning the league crown in 2003 (vs. Red Deer), 2005 (vs. Brandon), 2009 (vs. Calgary) and 2015 (vs. Brandon). The BC Division title is the teams sixth, after earning 30 more points than the Victoria Royals, the BC Divisions second place team last season. The Rockets also won the BC Division in 2013-2014, 2012-2013, 2010-2011, 2003-2004 and 2002-2003. 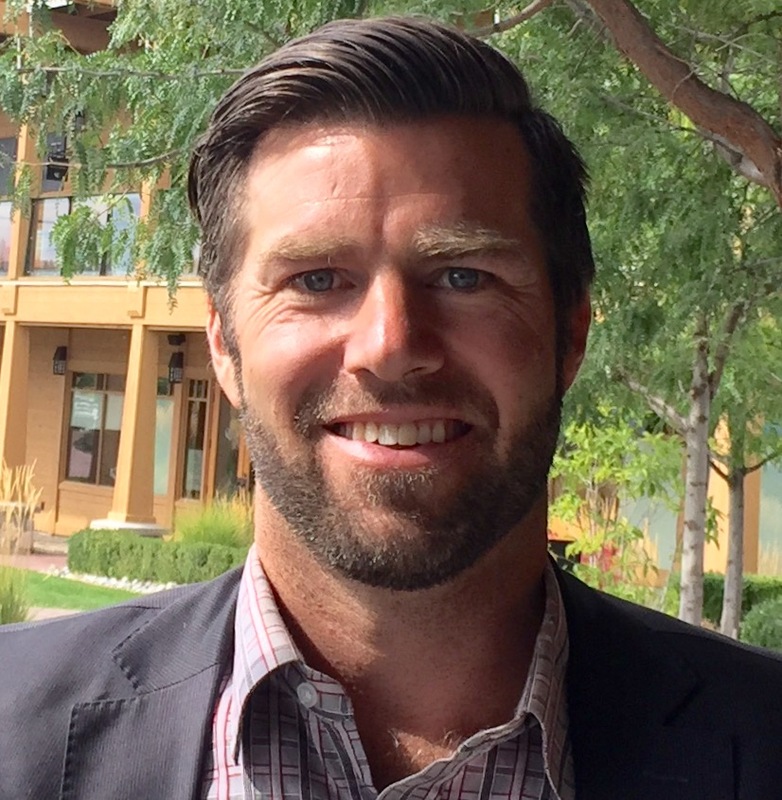 New Kids on the Block: The Kelowna Rockets named 34 year-old Brad Ralph as the head coach on August fourth. Ralph took over from Dan Lambert, who resigned at seasons end to take an assistant coaching position with the NHL’s Buffalo Sabres. Ralph is the ninth head coach in Rockets franchise history after leaving the Idaho Steelheads after three seasons in the ECHL. On defense, the team welcomes 16 year-old Cal Foote, the son of former NHL’er Adam Foote. Foote was the team’s second round bantam pick in 2013 and his younger brother Nolan was the Rockets second round pick in this past May’s draft. The Rockets selected 18 year-old Swiss forward Calvin Turkauf in this summer’s CHL Import draft. Other new faces include rookies Danny Gatenby (Joe’s younger brother) and 18 year-old Gordie Ballhorn, who played last season with the AJHL’s Whitecourt Wolverines. My memory is good, just short: For a third straight season the Rockets won 50+ games. With a record of 53-13-5-1, the team accumulated 112 points, two fewer than the regular season champion Brandon Wheat Kings. The Rockets won 26 times on home ice and a league high 27 times on the road. The Rockets were one of only two teams to score 300 or more goals (305) with Brandon leading the way with 340. Lost in the team’s successes last season was allowing a league low 183 goals against. Everett was next at 199. The team eliminated Tri City in round one, Victoria in round two and Portland in the Western Conference final. They quickly dispatched Brandon in the WHL final in four games. This and That: The Rockets had two players taken in the NHL draft. Nick Merkley was taken in the first round by Arizona. Devante Stephens was chosen in the 5th round by Buffalo…Cole Linaker (Oilers), Tomas Soustal (Flames) and Tyson Baillie (Flames) all received free agent tryouts…Dillon Dube (3+3=6) and Kole Lind (1+5=6) led the team in pre-season scoring…The Rockets were 3-2-0-0 in five games during the pre-season…The CHL Top 10 rankings have the Rockets as the fourth best team in the nation heading into the season. Last year before the puck was dropped the Rockets were ranked fifth….The team’s first ever goal in Kelowna was scored by Brett McLean in the fall of 1995…The Rockets have won the last three home openers against the Blazers. Last season the score was 6-1 and the year prior it was a 5-2 victory…This is the fourth straight season the Rockets open the season against the Blazers…The team plays three games in three nights four times this season but twice in the first two weekends…In the last three seasons, the Rockets have a combined regular season record of 162-40-8-6 in 216 games. Portland is next with a mark of 154-48-5-9 over that same period. In less than a week the Kelowna Rockets open the 2015-2016 Western Hockey League regular season. The franchise celebrates its 25th season and the Western Hockey League rings in its 50th anniversary as the Rockets raise a league banner up into the rafters at Prospera Place. Banner raising ceremonies never get old, and honestly doing it in front of the Kamloops Blazers makes it extra special. The Blazers, despite recent struggles, are still the model franchise with six; count them six WHL titles, the most of any team in the 22 league circuit. By comparison, the Rockets have four (2003-2005-2009-2015). The Blazers also have the bragging rights of being the last team to win back-to-back WHL titles in 1994 and again in 1995. The Rockets closed out the pre-season schedule Saturday night with a 3-0 shutout win over the visiting Vancouver Giants. Jackson Whistle and Michael Herringer combined for the goose egg. It was interesting to see those two veterans dressed for the final exhibition game. Whistle has nothing to prove. Herringer and Jake Morrissey do. Morrissey had his chance to solidify the back up spot Friday in a loss in Vancouver. The Rockets were 3-2-0-0 in five pre-season games. Alarming? No. The team played mostly with a rookie line up and never iced a team with it's three deadliest weapons; Tyson Baillie, Nick Merkley and Rourke Chartier. Austin Glover won the team scoring title in pre-season last year. Tyson Baillie was atop the leader board in his 16, 17 and 18 year-old seasons. That honour this year goes to Dillon Dube and Cole Lind. Dube had 3+3=6 while Lind had 1+5=6 in five pre-season games. Riley Stadel was used as a forward late last season and proved be an effective player at that position. But while his muck and grinding style is fun to watch, as he caused havoc inside the offensive zone, don't be surprised if the team uses him in his natural position as a defenceman when the puck drops on Friday. I've conducted many interviews with European players over the years, and not one until now has said he will block shots. I had a great conversation with 18 year-old Calvin Thurkauf last week and he spoke about doing whatever it takes to help the team win....shot blocking if necessary. Thurkauf is very mature for 18. I like him. From my experience, European players are typically shy and reserved and take some time to warm up to their North American teammates. I don't see Thurkauf having that problem. I am often asked at this time of the year who I think will finish first in the Western Conference. I am a realist, not an optimist, which tends to be the line of thinking at this time of the year. Do I think the team can repeat as conference champions? You bet I do, even with the loss of Madison Bowey, Josh Morrissey, Cole Martin, Leon Draisaitl, Chance Braid and Tyrell Goulbourne. Throw in a solid coach in Dan Lambert and those are seven significant losses. That said, the returning forwards should be among the best in the WHL this season. While I believe the Rockets will finish first, massive challenges are coming courtesy of Prince George, who should be fighting for first place in the BC Division. Three games in three night's is nothing new for the Kelowna Rockets. What is new is three games in three night's to start the season. In my 16 years in the Okanagan, the team has never opened the regular season with such a heavy schedule on the opening weekend. Now that Jackson Whistle has returned for his final season in the WHL, it will be interesting to see how the goaltending unfolds with Michael Herringer and Jake Morrissey also in the crowded crease. Something has to give. I will go on record as saying that Jackson Whistle is an untouchable 20 year-old. Ok, untouchable is an overstatement, but I see him locked as an overager on a team that is very young on defense. With a d-core that doesn't have one player over 18, I anticipate significant play inside the d-zone as that group finds its footing. A veteran goalie is valuable to help those young guys develop in front of him. The other untouchable in an overage spot is Tyson Baillie, should he return from the Calgary Flames. Do you trade a possible 40 goal scorer? The answer is no. While all eyes are on new head coach Brad Ralph to see how he guides this years team, the biggest assignment may fall on the shoulders of assistant coach Kris Mallette. The sophomore assistant coach, who is in charge of the d-core, will need to show patience with a young group that will make mistakes, but will learn from them. Mallette had the luxury last season of having Madison Bowey, Josh Morrissey and Cole Martin as regulars he could send out on the ice against the other teams top forwards. Without question, Mallette will earn his keep this season. While the Rockets open their 25th season Friday with a bang, we will do the same on AM 1150. 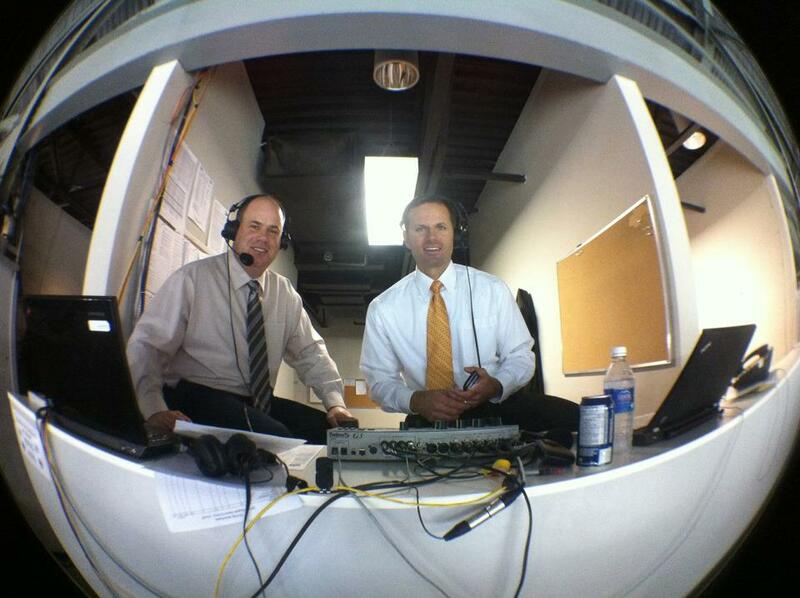 We will have a 60 minute pre-game show starting at 6 pm with myself and new colour analyst Kent Simpson. The Kelowna Rockets are now 2 and 1 in the pre-season. What this exercise has essentially allowed the coaching staff is the ability to see numerous prospects in a game situation. The defending WHL champs are icing a young, young team with close to eight regulars attending NHL training camps. They will look vastly different when Rourke Chartier, Tyson Baillie, Nick Merkley, Justin Kirkland, Jackson Whistle, Devante Stephens and Cole Linaker return. Whistle, Stephens and Linaker have all played one pre-season game. The others haven't. Veterans Riley Stadel and Tomas Soustal haven't seen the ice in pre-season either. Essentially the team's top four returning forwards won't wear a Rockets uniform until opening night on September 25th. With a mostly rookie line up, several players have stood out. Cole Lind, in my opinion, has been one of the best forwards at camp. The Shaunavon, Saskatchewan resident is tied for the team lead in points (1+2=3 in three games) and looks confident with the puck. Lind had several scoring chances as a 15 year-old call-up last year and simply couldn't finish against better quality WHL goaltending. I can't see why Lind can't make a solid contribution on the hockey club this season. Cal Foote has the biggest upside among the defenceman in camp. Foote is big, smart and knows his limitations. A three assist effort Saturday in a 4-3 pre-season win over the Kamloops Blazers was impressive. Surprisingly, Foote isn't overly aggressive. But in saying that, I anticipate that coming along as he becomes more accustomed to the WHL game. Clearly his offensive instincts are there. What is Foote's greatest attribute? Likely his modesty. Foote doesn't think he is better than he is. You want a player to have confidence, but to respect the game and be cautious with the puck by making calculated decisions with it. My belief is Foote recognizes danger, which is often lost in a younger defenceman who likes to handle the puck. The goaltending battle is an intriguing one. Jake Morrissey and Michael Herringer are calmly going about their business to see who will back up Jackson Whistle. It is a dead heat if you look at statistics alone. Both have had solid starts with goals against averages mirroring one another. If these two goalies are so close, how do you decide who goes and who stays? Age favours Morrissey. The Calgary resident is just shy of being two years younger than Herringer. The Rockets aren't in a massive rebuild though, which usually allows a team to play a younger goalie. If you have a veteran group, which the Rockets do, why would you go with a younger goaltender, or is the train of thought that with a 20 year-old like Whistle as your starter, you can insulate Morrissey and bring him along slowly with twenty odd appearances this season? Let's dig deeper to separate these two goalies. You have to ask the question on who is the better teammate? Who brings a positive attitude to the rink? Who works hard at practice? Who is more committed to his craft? Those are small details, but important ones as a back up. Only the coaches know that answer. Thanks to a long playoff run in 2014-2015, Dillon Dube played 64 Western Hockey League games. While being a rookie, the Golden, BC born Dube didn't look wide eyed. Dube found the back of the net 22 times, so is a 25 goal season out of the question in his draft year? Dube only played three regular season games in the first two months of the season in 2014-2015 because of injury. If he can stay healthy, the high end prospect, who is rated as a first round pick in next summer's draft, will be a major player in the team's offensive success. If Rourke Chartier returns for his 19 year-old season, which I believe he will after a long look by the NHL's San Jose Sharks, a good possibility exists that we could see him playing with fellow first round bantam picks Nick Merkley and Dillon Dube on the power play. That's a lethal unit to put out on the ice if you are looking at generating a goal. Thanks to head scout Lorne Frey, Chartier was the team's first round pick in 2011. Merkley was taken in the opening round in 2012 and Dube was taken with the team's first pick in 2013. That's hitting a home run in three consecutive drafts. Of the 'big three' first round bantam picks, Dube was chosen 21st. That is the second to last pick in the opening round. 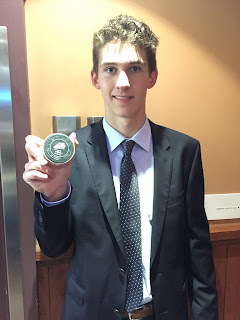 Chartier was chosen 15th overall while Merkley was plucked as the ninth best player in the bantam draft from 2012. I was honestly taken aback by the number of responses from those interested in joining me in the broadcast booth upon the announced departure last week of colour analyst Gord McGarva. I am pleased to announcement this morning that Kent Simpson is the new colour commentator on our AM 1150/Kelowna Rockets home broadcasts this season. The 40 year-old is no stranger to the Western Hockey League or the broadcast booth. After seven seasons as the colour analyst with the Edmonton Oil Kings, Simpson left the Alberta capital last fall for the Okanagan where he joined his brother,Todd, in West Kelowna as a successful realtor. The North Vancouver resident has a solid hockey resume, having played pro in the ECHL with the Johnstown Chiefs, suiting up for the Canadian National team and playing overseas in Denmark, England and Britain. I am looking forward to Simpson joining me in his Kelowna Rockets radio debut on opening night (September 25th) against the Kamloops Blazers when the team raises a Western Hockey League banner high into the rafters at Prospera Place. spent a good portion of the winter as an off-ice official in the penalty box at Kelowna Rockets home games, would send a resume expressing interest in joining me in the broadcast booth.That gentleman was Gord McGarva. I didn't exactly know what I was getting when I invited McGarva for a 'try out' during a pre-season game that fall. I wanted to see if he had any ability to form a sentence and relay what he saw on the ice to the listening public. Sounds easy right? Just try it. Even the most well-spoken individual struggles. On that fateful night, McGarva was neither good nor bad. He had potential though and was eager to learn. That in itself was enough to convince me that McGarva was the right man for the job heading into the 2008-2009 season. Call him good luck. In his first year, McGarva had the luxury of seeing the team go all the way to the Western Hockey League final where they would beat the heavily-favoured Calgary Hitmen in six games. To top it off, despite his day job, he managed to join me in the broadcast booth in Rimouski, Quebec for the 2009 Memorial Cup. McGarva was that faithful. Gord rarely missed a game over seven seasons. Whether ill or just not into broadcasting a game on a week night after a long day as a full time high school teacher, McGarva showed up, didn't complain and always did his best to put on a good product for those listening at the other end of the radio. He travelled with me on the Rockets bus or in a station vehicle to many road games, which even included a playoff stop in Prince George, a place McGarva often vowed he would never visit. While our friendship has blossomed over the last seven years, two things remained a constant: McGarva has been faithful as a colleague and his love for the Kelowna Rockets, specifically as a fan of the coaches and players, has never waned. He was a homer and I expected nothing less. McGarva was part of the Kelowna Rockets broadcast and always wanted the 'good guys' to win every time they hit the ice. Like Superman's angst for Kryptonite, McGarva would often express his dislike for WHL officiating. In saying that, he had friendly banter with the officials before the game when they would make a brief appearance in the media area for a quick cup of coffee. McGarva knew many of the officials on a first name basis. Always anticipating a home win. Rockets delivering. Despite seven great seasons, change is inevitable however. 'Gordie', as I called him on the air in celebration after the Rockets overtime win to capture the WHL title in 2009, won't be joining me for the start of the 2015-2016 season. While he will be stepping aside as my regular analyst, McGarva will occasionally make a guest appearance if needed. Now it is time to look for the next 'Gord McGarva'. While the voice will be different, I will look for many of the same qualities that McGarva exhibited in a good colour analyst. I want to publicly thank 'Gordie' for all he has done for me personally over the years. We had fun on the road. We laughed (sometimes too much) and celebrated many victories including those two league titles in 2009 and again in 2015. That is a pretty good run over that seven year span. Simply, McGarva added immensely to our AM 1150 broadcasts and never subtracted from it. Thank you, Gord, for making the Kelowna Rockets and me sound better on the radio. It's been a pleasure working with you, my friend! Calvin Thurkauf (left) participating in drills. One prospect not attending Kelowna Rockets main camp is 16 year-old Jordan Sandhu. The fourth round pick from 2014 will be playing with the BCHL's Alberni Valley Bulldogs this season. On the surface, it appears the Rockets have a good play making forward in European Calvin Thurkauf. Chosen in this June's CHL Import draft, the 18 year-old can sure shoot the puck and has good size. That said, until you see a player perform against elite competition in a game type of situation, the jury is always out of what type of impact a first year forward will make. Cal Foote is no ordinary 16 year-old defenceman. The Colorado resident is well put together and should fit in fine with this years team. I can't see why he isn't a lock to be on this years squad with three key defenceman in Madison Bowey, Josh Morrissey and Cole Martin moving to pro hockey. One veteran player who isn't participating in main camp is Tomas Soustal. Soustal is in Kelowna and would be skating but has suffered an undisclosed injury. Nineteen year-old veteran goaltender Michael Herringer is sporting new pads and gloves to start training camp. Starter Jackson Whistle has the same gear he wore at the Memorial Cup in late May. I can't see the Rockets again using three goalies over the entire season, so the back up spot will be won or lost in training camp. Michael Herringer and Jake Morrissey are battling it out to see who finds themselves winning the job behind starter Jackson Whistle. The veteran players are looking a little different at training camp. All are now sporting new visors that give them a more streamlined look. The visors on the helmets are less 'bubbly' and appear to look exactly what the NHL players wear.